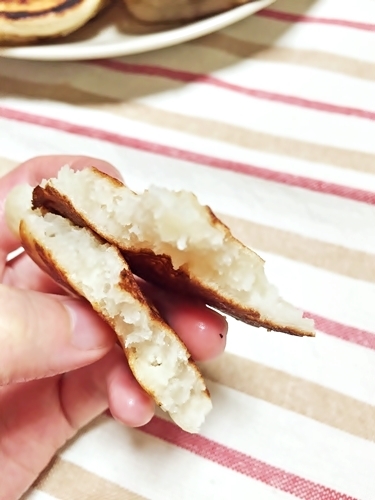 米粉でグルテンフリーのナンを作ってみました。I made gluten free naan bread. Easy Japanese food cooking even over sea! 日本でも作れる多国籍料理! 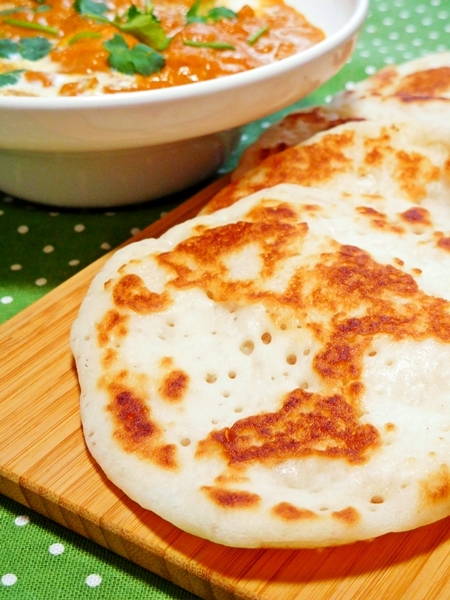 I’d like to introduce “gluten free naan bred” recipe today. 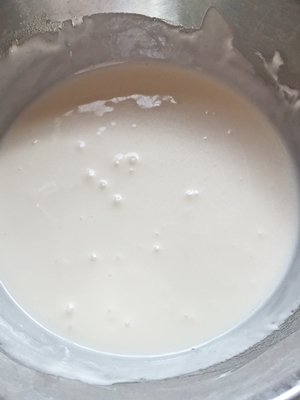 I often make dehydrated yogurt (Instead of Greek Yogurt), when always left the whey. I made it by the whey, that the naan bread getting good texture ! also you can take a nutritious protein ! Why don’t you make it? It make like a pancake. Your kitchen wouldn’t mess by powder ! because you don’t need knead a dough. about 6 piece of naan breads. ※caution : Japanese cup is 200 ml for 1 cup. I recommend “Safe Instant Yeast gold”. because It smells good when baked bread. 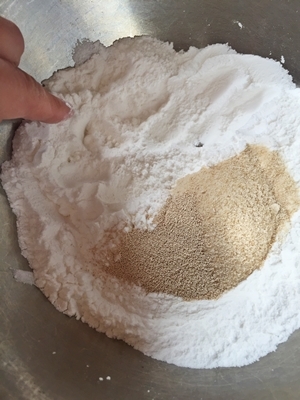 ・The rice flour, tapioca starch and baking powder into the bowl, then mixing well. pour the whey, mixing a few seconds then add olive oil. 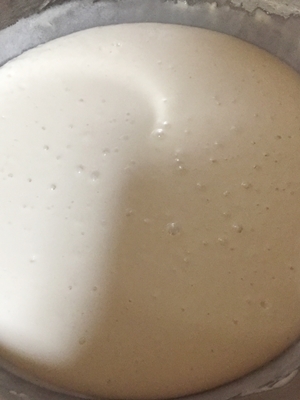 ・The dough whisk about 10 min when you until feel yeast smell. 10 minutes After mixing the dough, rap the bowl and ferment it. ・the dough ferment to about twice. It gently whisk and degas before baking. 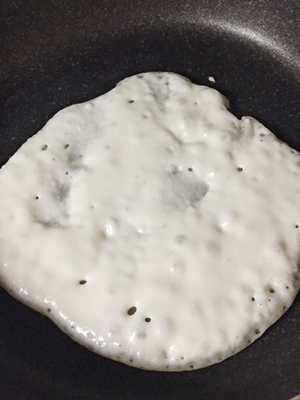 ・little oil into the frying pan, then pour the dough. it like a pancakes frying for 2 to 3 min one side. I made butter chicken curry ! 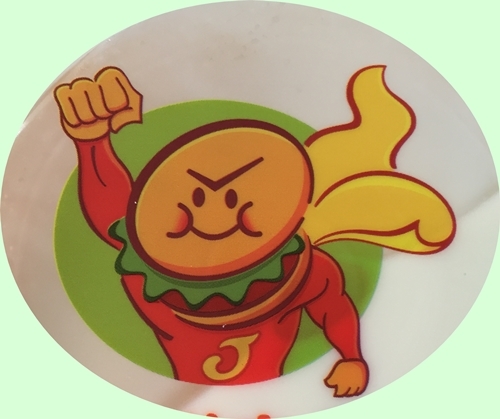 I have intrest in world cuisines ! especially Vietnamese, Chinese and Portugal cuisines! 台湾のぽかぽかスープ「麻油鶏」Taiwanese sesame oil chicken soup. Copyright© Forest-hill❤worldwide cooking All Rights Reserved.